A friend of the Rockefellers, Kennedys, Hearsts and Harrimans, Bert Morgan became the photographer of choice for high society starting in the 1930’s. By promising never to publish an unflattering picture, he gained unlimited access to this rarefied post-gilded-age world, which he followed seasonally from New York and Long Island to Palm Beach, Newport, Saratoga, and the Hamptons. Bert Morgan was born in England in 1904, came to America at age seven and was raised in Brooklyn. He began his career at fifteen syndicating photographs for the Chicago Tribune and the New York Daily News. By 1930, he began taking his own photographs with a camera he bought for a quarter. For five decades he would chronicle High Society events and it’s luminaries, as well as becoming the official track photographer of the New York Racing Association. His work was regularly published in magazines such as Vogue, Vanity Fair, and Town & Country. 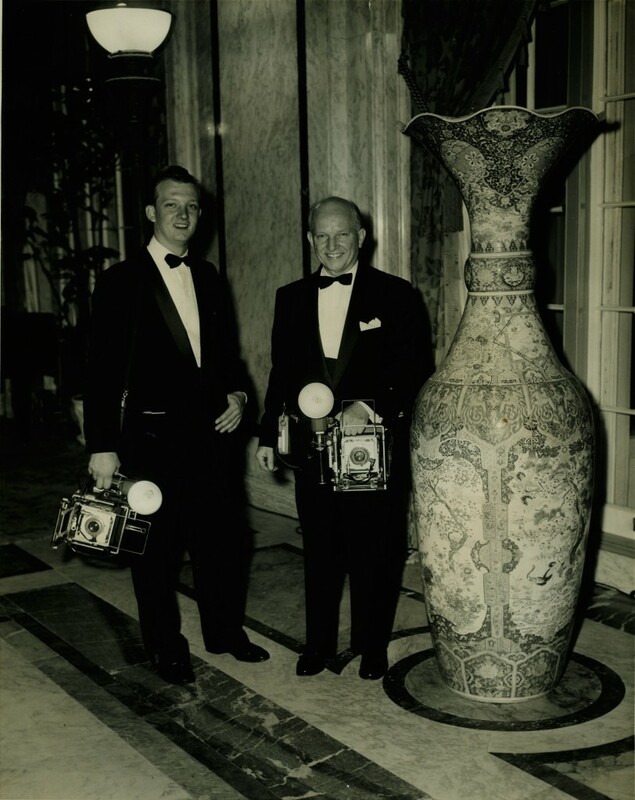 His son Richard Morgan (1935- ), pictured below with Bert, joined him in the 1950’s and worked along side him until Bert’s death in 1986. European royalty and stars of the stage and screen. Copyright © 2019 The Bert Morgan Archive All rights reserved. Amazing Grace theme by Vladimir Prelovac.